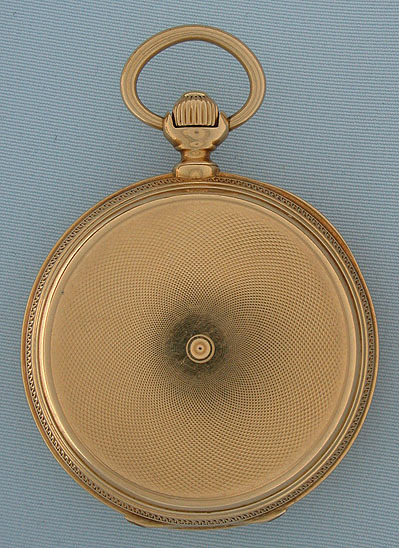 Fine Charles Vacheron, Vacheron & Constantin 18K gold ladies antique pendant watch circa 1869. Engine turned case with even light wear. White enamel dial with blued steel Breguet hands. 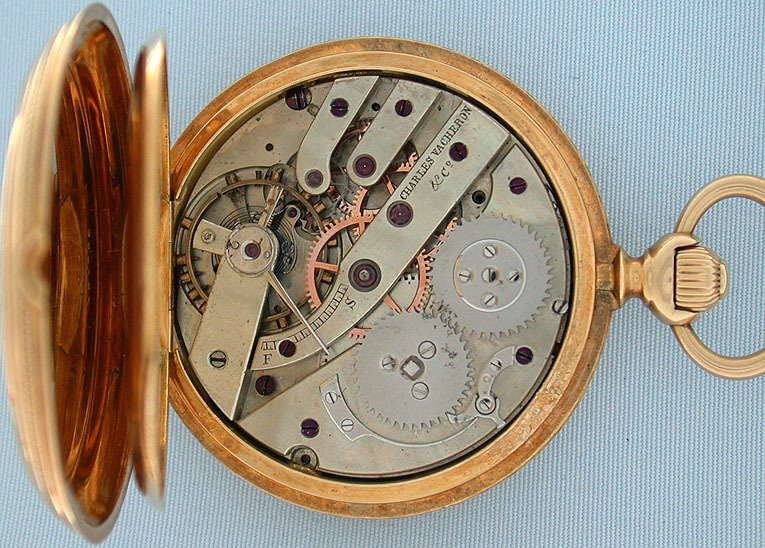 High grade 16 jewel nickel movement with "moustache" pallet, gold train wheels, and wolf's tooth winding. 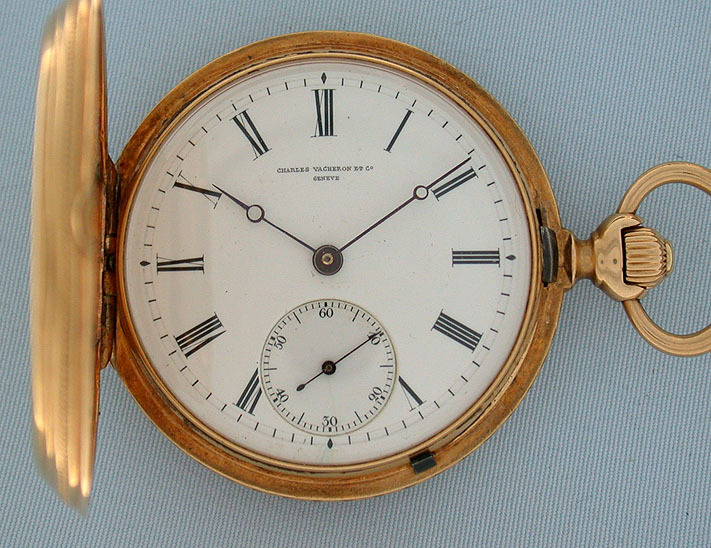 This watch is signed "Charles Vacheron & Cie." on the case, dial and movement. 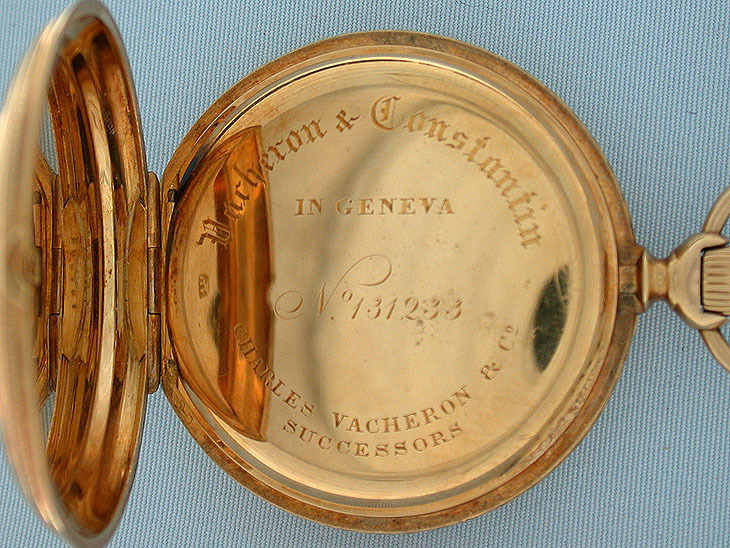 Additionally the case is signed "Vacheron & Constantin." 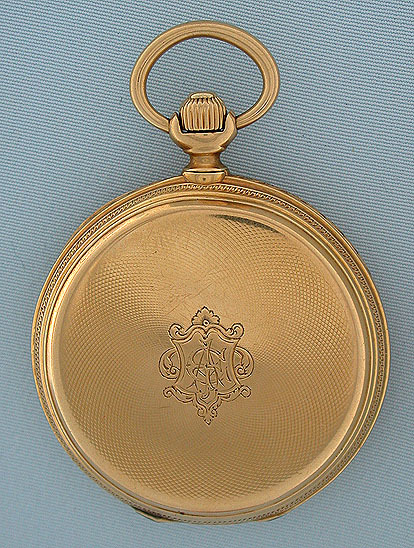 Vacheron and Constantin watches were signed Charles Vacheron for only one year.